Line offers cute emoticons, including ones tailored for kids. Popular messaging app Line, known for its cute emoticons, is shelving plans for an IPO this year. South Korea's Naver Corp., which owns the Japan-based company, said it won't list Line on an international market in 2014 but might revisit its decision in the next six months. Naver said in July it was looking at Japan and the U.S. for a possible IPO. The company reportedly even filed a listing application to the Tokyo Stock Exchange, valuing the company at 1 trillion yen ($9.2 billion). Most of Line's users are in Japan, a market nearing saturation. Analysts say the company, which still faces stiff competition in the region, is likely looking to obtain greater scale before launching its IPO. "They are quite a popular alternative in Southeast Asia, but they face significant challenges in China and Korea -- China has WeChat, and Korea has KakaoTalk and Daum," said Lydia Bi of Canalys, a tech research firm. Line may also be nervous about becoming the first chat app operator to list its shares, which would encourage direct comparison with social media giants like Facebook (FB), Twitter (TWTR) or Linkedin (LNKD), she said. 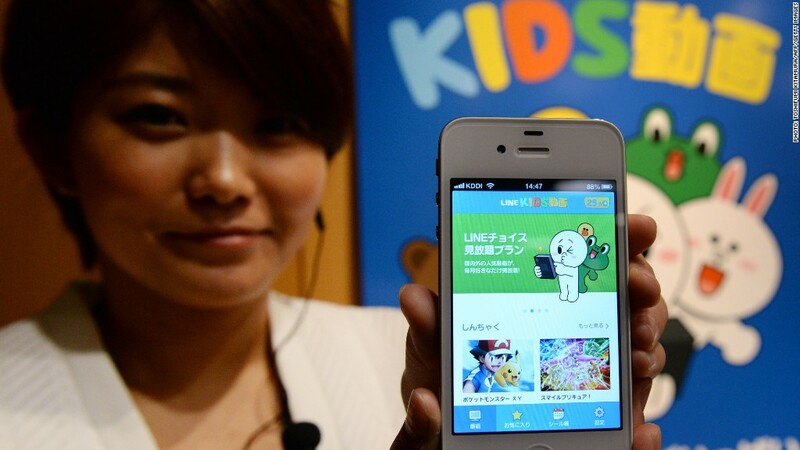 Line has 500 million registered users, and its revenues have been growing strongly. But the company has not published its tally of monthly active users, a key metric for messaging apps. By comparison, competitor WhatsApp, owned by Facebook, has 600 million monthly active users. The decision to pull the IPO contrasts with the record $25 billion New York debut by China tech firm Alibaba last week. Line offers free messaging and voice calls, generating revenue from the sale of adorable emoticons, games and other services. It's a model that's worked well -- those sales were worth 18.2 billion yen ($167 million) in the second quarter, up 25% from the first quarter, and a whopping 146% increase from the same period last year. The app was first developed as a web-based communication service in Japan after the 2011 earthquake and tsunami downed phone networks. Naver, listed in Korea, had a rocky day on the markets, first dropping as much as 3% before recouping losses in Seoul trading.